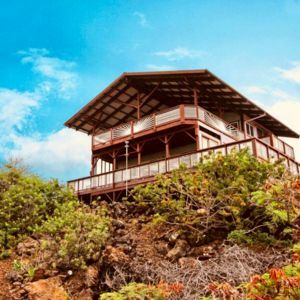 Captain Cook ‘Anji’s Beach House’ w/Lanai & Views! 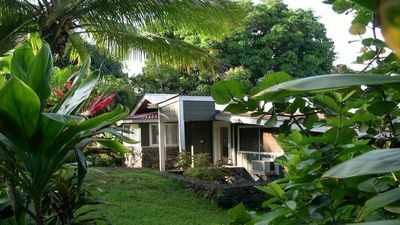 Your epic Hawaiian Islands adventure begins at ‘Anji’s Beach House,’ a lovely 3-bedroom, 3-bathroom Captain Cook vacation rental home. 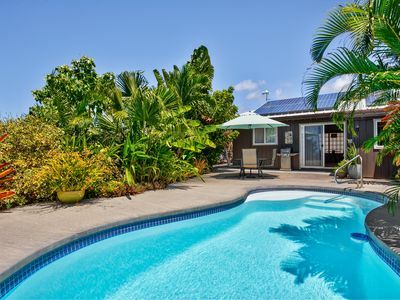 This charming property boasts 1,730 square feet of living space with sleeping accommodations for 8 and a private wrap-around lanai. 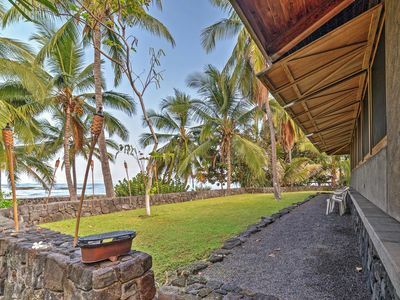 Nestled in the picturesque Kona Coast Area, this house puts you only a stone's throw away from the beach and offers tranquil views of the Big Island straight from the property! 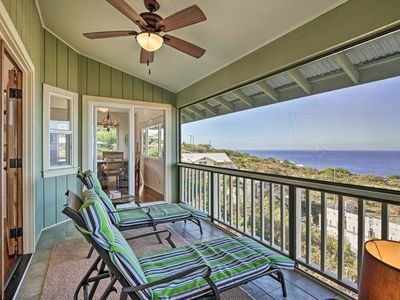 This unique home is custom designed with coastal charm and modern amenities. 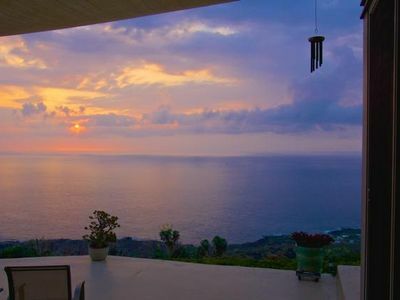 The main level features high ceilings and walls of windows overlooking the island's unique topography, creating a serene environment to keep your mind at ease. 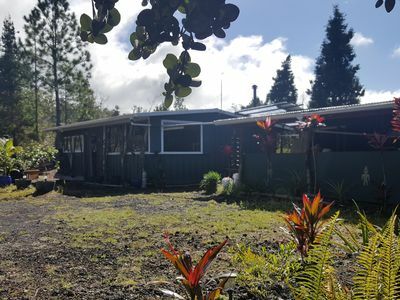 Relax and reconnect with the whole group in the spacious living room, which includes comfortable furnishings, a flat-screen cable TV and a door to access the lanai. 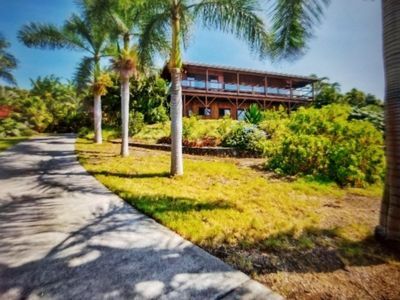 Step out onto the wrap-around lanai and immediately admire the shimmering water and lush foliage that engulf the shore line. 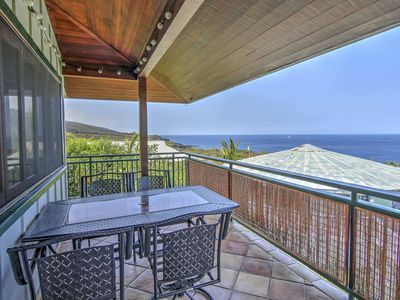 This outdoor lanai is the perfect setting for whale watching and catching a spectacular sunset over the water. The chef in your group can also look forward to testing their skills in the fully equipped kitchen. The space includes beautiful wood cabinetry and a double door refrigerator, along with all your other basic cooking appliances. 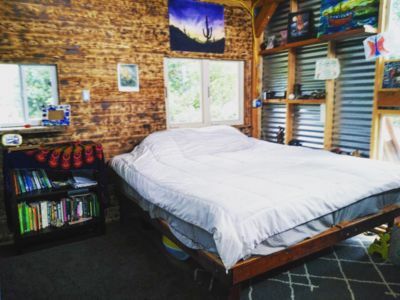 Call it a night and retire to the bedrooms. The master bedroom boasts a king-sized bed, french doors to access the lanai and an en suite bathroom equipped with a walk-in shower. 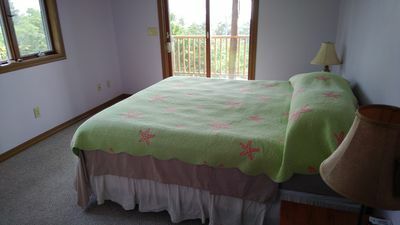 The downstairs studio bedroom is separate from the rest of the home, offering peace and privacy for its occupants. 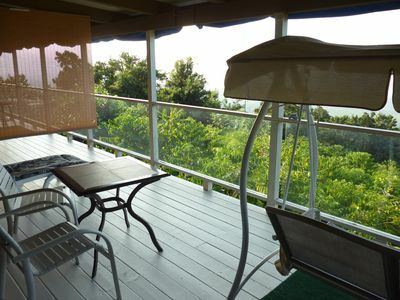 Located only two blocks from a peaceful neighborhood beach, take full advantage of the warm weather and golden sunshine. 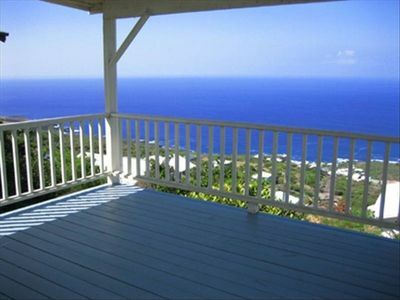 Swim in the ocean, snorkel with the fish and soak up the sun all day long. 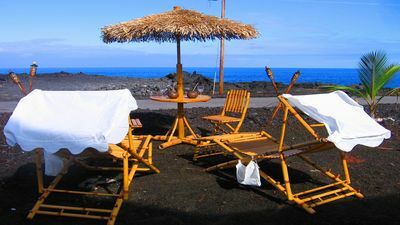 As a true outdoor enthusiast’s paradise, the Big Island has no shortage of outdoor adventure. 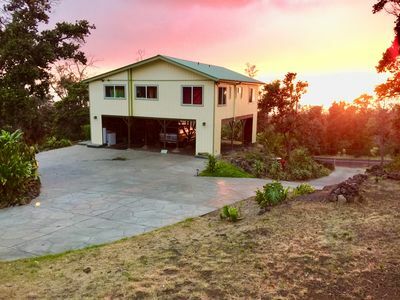 Venture out and discover the various historic Hawaiian landmarks dispersed throughout the island, along with the popular Kona coffee, macadamia and fruit farms. 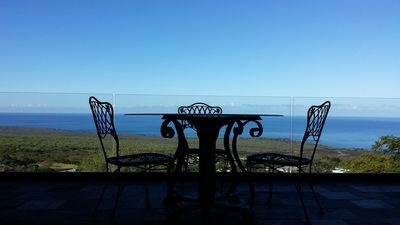 Explore Hawaii Volcanoes National Park, where you can roam the summit of active volcanoes. 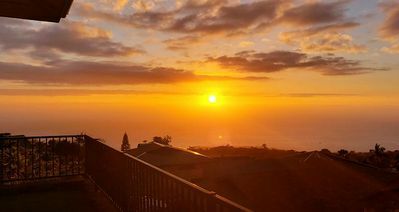 Watch the sunset from Mauna Kea Summit, hike through the scenic Waipio Valley and check out the flowing waterfalls that abound on the eastern side of the island. This majestic area offers some of the best snorkeling, scuba diving and swimming on earth! 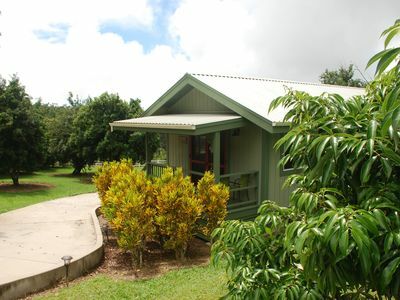 The town of Captain Cook is conveniently located only 10 minutes away. Head downtown and treat yourself to a gourmet meal at one of the fine restaurants or cafes, and take a stroll through the farmer’s market which features local produce and artwork. 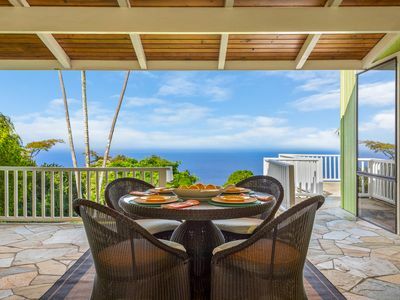 - Amenities include a fully equipped kitchen, in-unit laundry machines, free WiFi, flat-screen cable TV with HBO and Showtime, wrap-around lanai, portable cooler, four beach chairs & beach towels, four sets of snorkeling gear, five boogie boards, patio furniture and more! 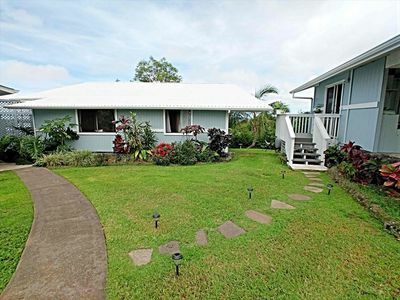 Private 2008 Home 3bd/3ba A/C Koa/Tigerwood/Mahogany/SS - 2600 sq ft, new bath!